It’s unclear whether her intent was to tweak the allegedly security-obsessed president for the security lapses his partial government shutdown has generated, or simply wanted to deny him the imperial splendor of a joint address to Congress at a time when he’s making hundreds of thousands of federal employees work without pay. 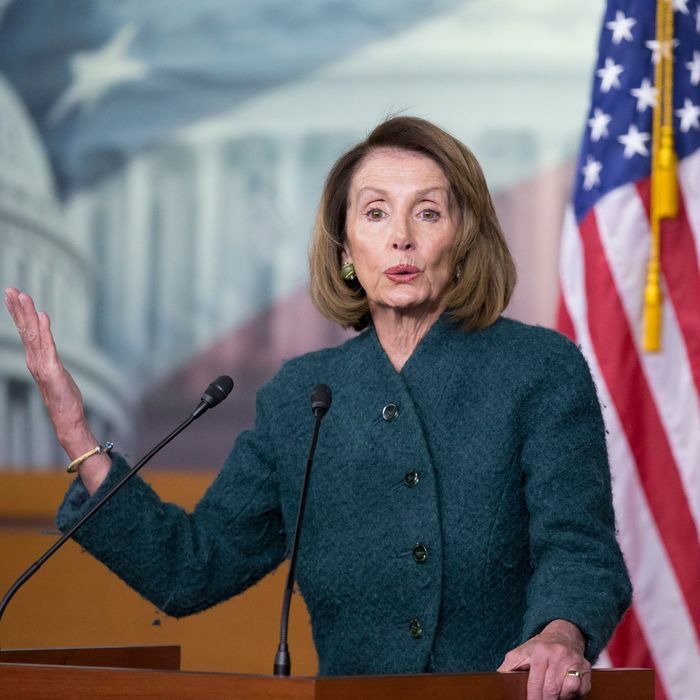 But in either event, it’s no joke: House Speaker Nancy Pelosi has asked Trump to postpone the State of the Union Address currently schedule for January 29, or make his pithy remarks in the form of a written communication. You can doubt the sincerity of the word “sadly” coming from Pelosi here. But it seems she wants a response. Moreover, the constitutional provision for occasional “messages” to Congress (authorized by Article II, Section 3, Clause 1) can easily be discharged by a written communication, as it was between 1800 and 1913. As Pelosi noted, if Trump wants to make a televised speech, he can do it from the Oval Office or wherever else he chooses. As of this writing, the White House has not publicly come to grips with Pelosi’s missive — nor, surprisingly, has the president’s Twitter account. The longer her “request” sits out there, however, the more it becomes a potentially volatile personal dispute between two pols who have all but stopped negotiating over Trump’s demand that Congress fund his border-wall fetish, and Pelosi’s demand that Trump stop the foolishness and reopen the federal government. It’s certainly not an atmosphere in which anyone should feel “secure” in conducting business as usual.